Salesforce’s Spring 17 release date in sandboxes is fast approaching and Salesforce has given us the Release Notes. 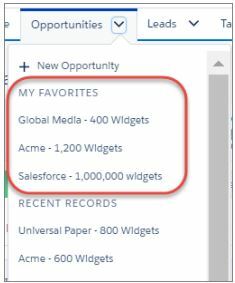 Here in this blog post, I would like to highlight the updates this release (of 450+ pages) brings to Salesforce specifically to “Lightning Experience”. For Lightning App Builder specific updates in Spring 17, check here. Kanban View is available for all object’s views and highly customize-able right from the view itself, based on record types as well. Sales Path (old), the new “Path” is now available for all custom objects and quotes as well. Wow! To enable Path, or set up a new path, from Setup, enter Path Settings in the Quick Find box. Console Apps are now available in Lightning Experience. 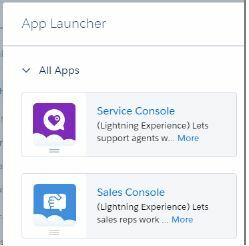 Lightning console apps are available only to Sales Cloud and Service Cloud users. The console apps can be accessed from the App launcher in Lightning Experience. And also Tab History in available in Lightning Console Apps. And this is how it looks, sneaking at the bottom of the page. 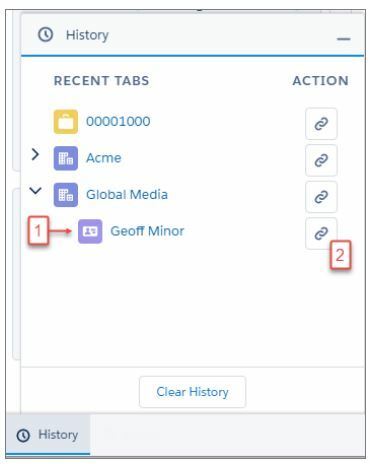 More Actions can be done from Global Actions: The Global Actions menu (+ ) now displays nearly all global actions (including Contracts and the most wanted Orders) from the Salesforce1 and Lightning Experience Actions section of the global publisher layout. Person Accounts are now available in Professional Lightning Edition. 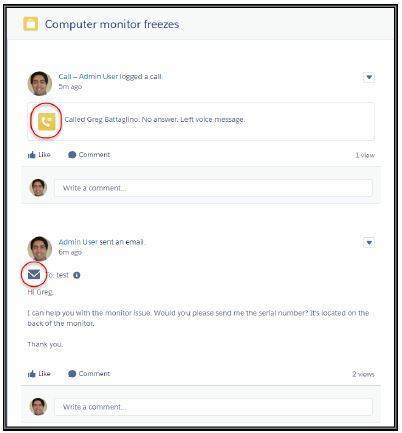 Sales Cloud Einstein : I have highlighted how to setup Einstein in Sales Cloud and its features in a separate post here, do check. Gmail with Lightning and Skype with Lightning are in Beta, so we can expect more in the future (safe harbor!) and yes with Einstein supporting both of them. Process Evaluate Person Accounts Better: Triggers, validation rules, flows, approvals, workflow, and Process Builder evaluate person accounts more effectively. This change applies to both Lightning Experience and Salesforce Classic. Now, a process that uses the Name field looks at person accounts. Automated Account Fields is the new name for the account feature that displays US-based companies in the Account Name (old name: Account Auto-fill). 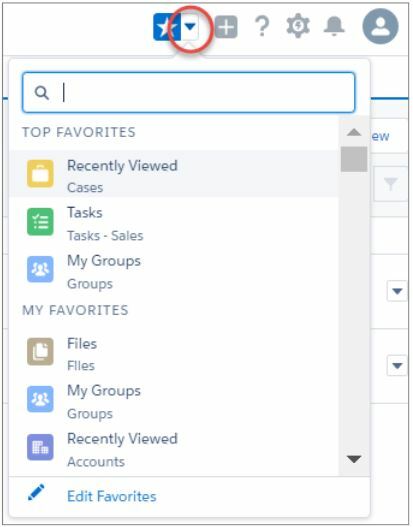 Salespeople can now see the Lead Assignment checkbox on new leads in Lightning Experience. Lightning Knowledge: Knowledge is now available in Lightning Experience as well. Lightning Case Management: Provides a revamped compact case feed so that agents can quickly see the case progression. Case Assignment checkbox is also now available. 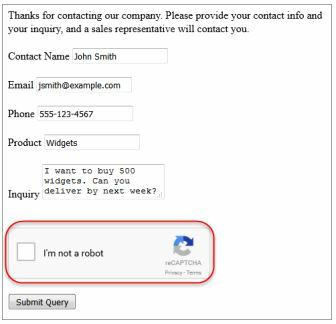 Web to Case with reCAPTCHA: Add reCAPTCHA to your Web-to-Case form to make it easy for customers to contact your company while making it difficult for spam bots to waste service agents’ time. Reports and Dashboards Updated: Quite number of new features are introduced into to Lightning Experience like report URL parameters, combo charts. You can read these updates here in a separate post. Review Pending Approval Requests from Lightning Experience. You can add the component to Home Pages, Record Pages. And there is an all new “Approval Requests” Tab to add to Navigation menu. You can now run Flows in Lightning UI (Generally Available). The look and feel matches now. You can embed flows into Lightning Pages (Beta): Imagine you creating a survey in flow, and embed that in Home page or any record page. Wow! Make fields in a flow screen appear conditionally (Pilot). I personally, dearly wanted this feature. Flow Errors now show more context giving clear idea of what/where the error is. Enforce Field-Level Security for All Flow Operations: If the user doesn’t have edit access to one of the fields, the flow fails, and you receive an email with details about why it failed. To control the behavior, toggle the Filter Inaccessible Fields from Flow Requests preference on the Process Automation Settings page in Setup. Display Flow Screens in Two Columns: My favorite feature, is now Generally Available. Not ready to switch to Lightning Experience? Try Lightning Experience Evaluation. From Salesforce Setup. Click Lightning Experience > Evaluate. You get an email with a personalized readiness report, which includes recommendations on how to migrate your Salesforce implementation to Lightning Experience.